100PercentBronx: The Bronx Chamber of Commerce invites you to join us for our SummerFest New Member MEET UP Networking Mixer and Food Tasting. Free Admission to Chamber Members! 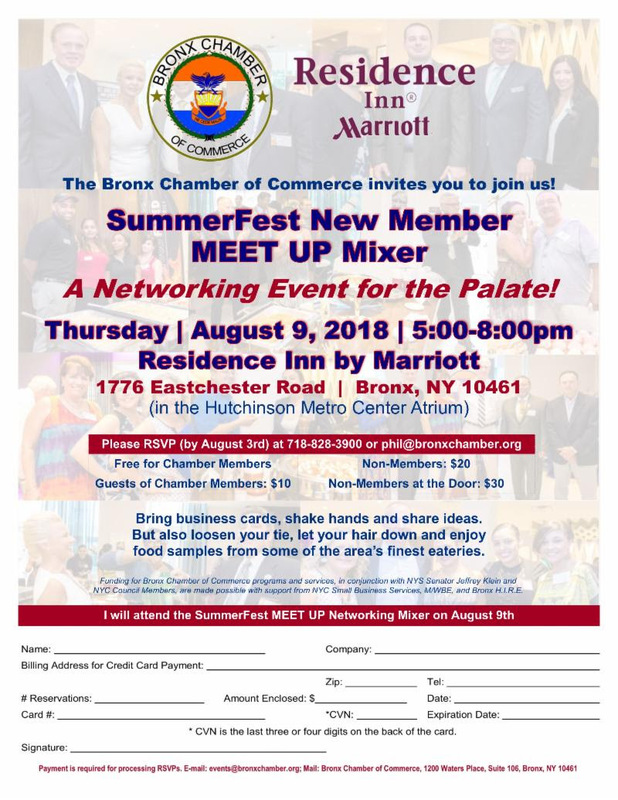 The Bronx Chamber of Commerce invites you to join us for our SummerFest New Member MEET UP Networking Mixer and Food Tasting. Free Admission to Chamber Members! Labels: The Bronx Chamber of Commerce invites you to join us for our SummerFest New Member MEET UP Networking Mixer and Food Tasting. Free Admission to Chamber Members!